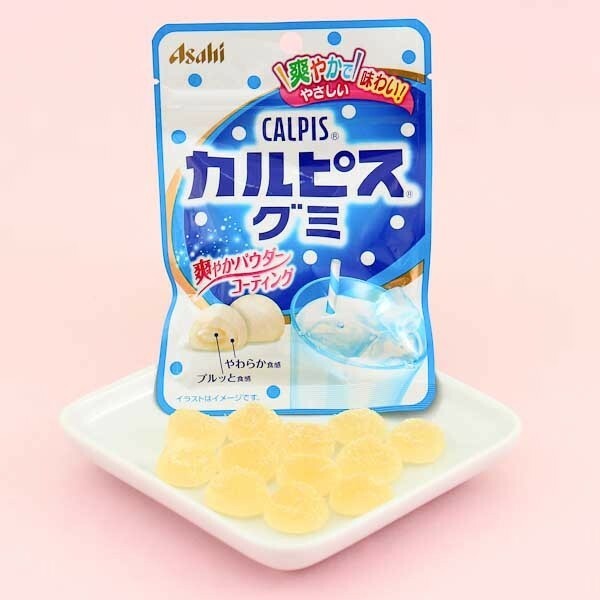 Asahi has a surprise treat for everyone who loves sweets and their well-known drink Calpis! 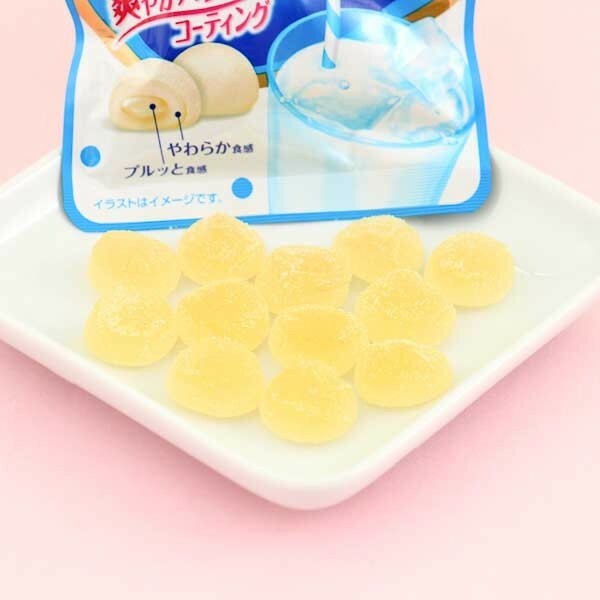 These candies taste like Calpis, which is a Japanese uncarbonated soft drink with a milky taste similar to vanilla. The calpis flavored jelly heart inside these candies will melt on your tongue and fill your mouth with a sweet and cool taste! The resealable bag makes these candies perfect to share with your friends during a hot summer day. Yum!